This is my first time participating in the Full Moon DreamBoard practice from Jamie Ridler's Studio. When Jamie mentioned that she kept hers where she could see it during the month, I thought that was a great idea so I made one for December. I am learning more about how living with intention is inviting so many good things into my life. My DreamBoard is about how I want to make more time for special just us time for my husband and me. We are together a lot, but I really want some of that time to focus on the "us". I also want to feel cozy this month with myself and family. I want to slow down and not feel like every moment has to have a plan. I started decorating the last day of November and am doing a little more each day instead of frantically trying to get everything done in one day. Replenishing myself in all ways is what I hope for so the New Year begins with me in balance and remembering through everything how important my spirituality is to me. I posted my Dreamboard as my last day of creating for AEDM. There are some close up pictures of sections of the DreamBoard on my November 30 posting. as u wish for yourself, so i wish for you also! What a marvelous and rich dreamboard! So happy that you joined this beautiful online community of creators and doers.... Many blessings to you as your dreams of closeness and coziness unfold magically! Yay! So happy you participated and way to go! Your first dreamboard and it is so festive and happy. I think people forget how romantic and lovely the winter holidays can be, get lost in the material pressures and madness. 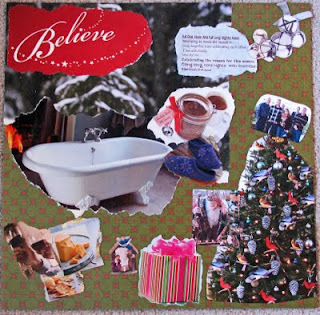 I love the sound of your December dreamboard, may it all come true. Full moon blessings to you. Yes, I agree with Suzie, the holidays can be soooo romantic and I hope you get that kind of holiday! Replenish - what a lush word! May all your dreams come true! Susie, welcome to the circle! I'm so glad that you've joined us. What a beautiful board full of the wonder of the holiday season, comfort, connection, joy, magic. I believe! it conjured up a feeling of presents being unwrapped on christmas day: warm, fluffy and exciting! I love those oh so cozy slippers with the hot cocoa! And, yummy, cheddar cheese and crackers. I especially love that Believe text image you found, with the stars trailing from it. PERFECT!! I wish for you all that you wish for yourself! Thanks for stopping by to look at mine!This is only my 2nd time participating in, and I feel it's such a good thing that I intend to try and join in every full moon. My best wishes to you! I come via Carmen's blog. 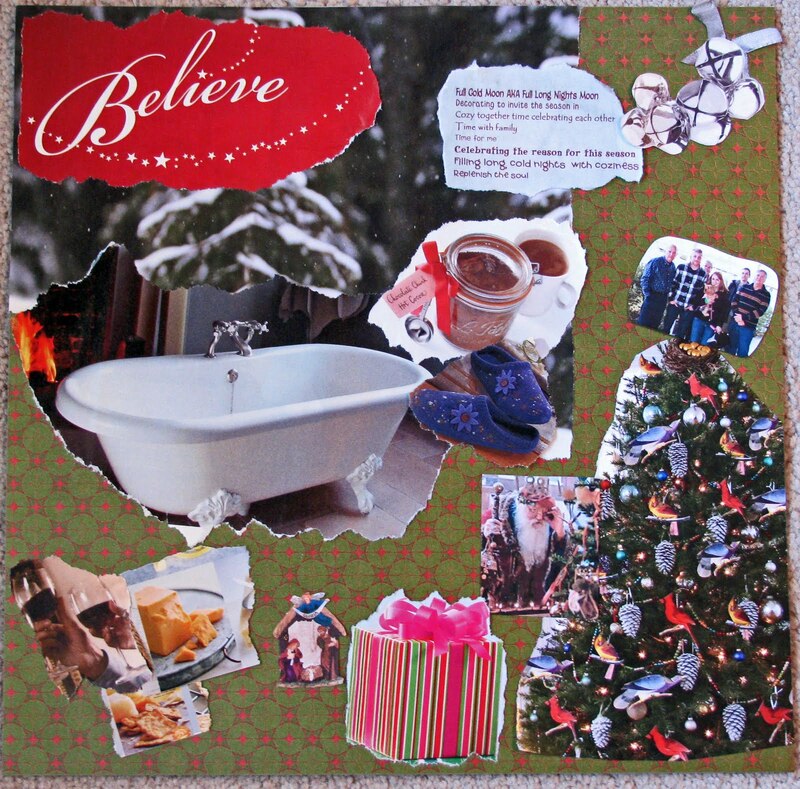 I just visited my friend Serena's blog and she has her beautiful Dreamboard going on as well. I love yours too. It's beautiful and I hope all your wishes come true. Take care. Great to see you here, Welcome! Lovely dreamboard, and I think I used the same Believe in mine! May all your dreams come true. That is awesome! I love the plan. May all your dreams come true. do you do the wishcasting wednesday? it is so much fun and full of magic and connections! Welcome to the circle, Susie! I love what you've included in your dreamboard; so cozy and comforting!